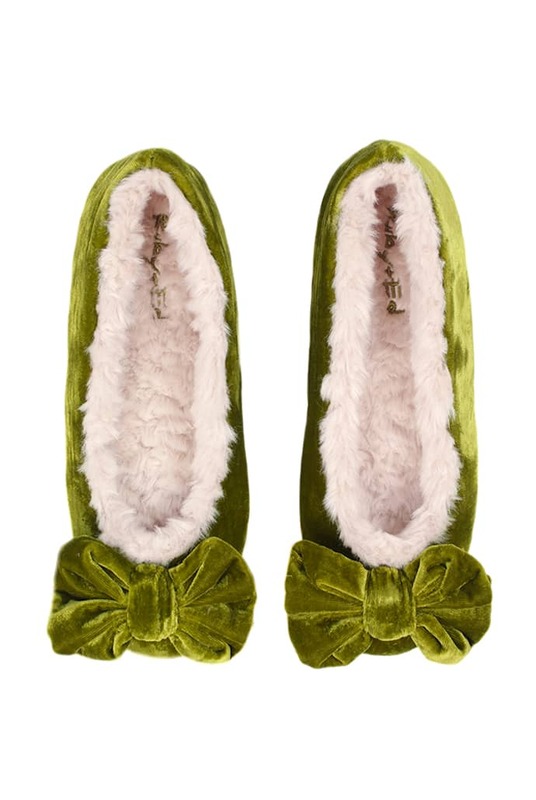 Rich Chartreuse velvet updates this decadent Ruby and Ed slipper. Crushed fur provides warmth and underfoot comfort. With a soft, faux suede sole for flexibility, it is single sized for a closer fit. Made by Ruby and Ed. Lilac Rose in Leamington Spa, United Kingdom.